Last weekend Saturday, Sarah and I had a first day really to ourselves. We decided to take our very first day trip in the U.S. We went to the historic town of Harper’s Ferry, West Virginia, famous for the armed slave revolt started by John Brown in 1859. We planned to visit some wineries along the way. Failing and passing a single driver’s license road test in the U.S. I just got back from the Virginia Department of Motor Vehicles (DMV). As mentioned earlier, I had to retake knowledge exams and a roadtest. Today I had to take the roadtest, where an instructor joins you in your car to see whether you are fit to drive. The past, say, 16 months Sarah and I have been working on my emigration to the U.S. Hundreds if not thousands of euros were spent and a Brazilian rain forest had to be cut for all the forms we needed to fill out. Most of the process is just a seemingly unending string of tiresome and repetitive activities. It’s not difficult necessarily, it’s just a lot of work. 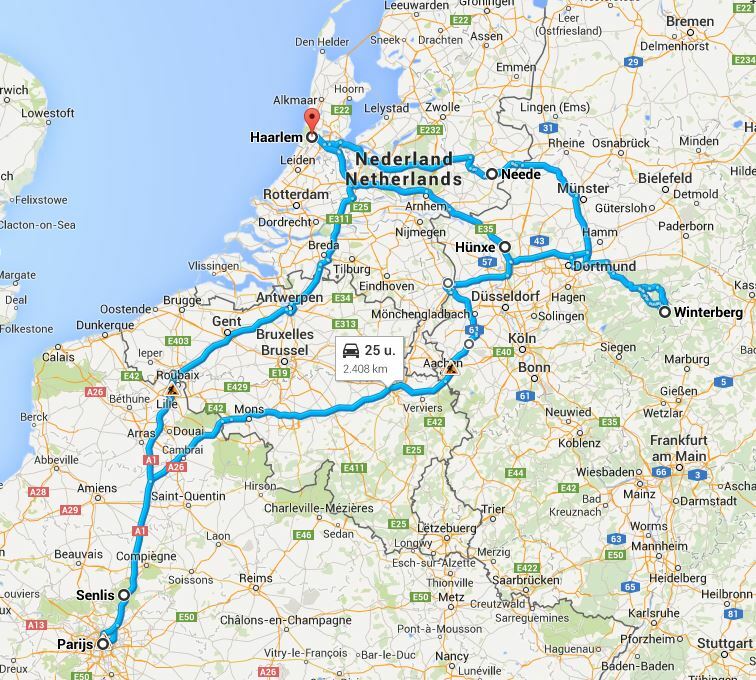 In the past days I have been driving for over 24 hours and 2,400 kilometers through the Netherlands, Germany, Belgium, and France for my Christmas and New Year’s vacation. It was worth every minute and every meter. After a short night due to work deadlines the day before, I travelled to Malta on June 6. Here, I will enjoy a week-long holiday. The first 2 days I will be by myself, but Sunday June 8 Sarah will join me. The flight was, I am pleased to say, completely uneventful. Somehow I was a little surprised, but maybe that’s because the last time I flew I went to the U.S., where going through security and all seems a bit more stressful.